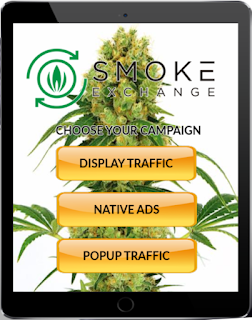 The Smoke Exchange is the first self-serving advertising platform for the cannabis industry. This digital market will allow advertisers and publishers to buy and sell ad space on real-time auction bidding platforms. Currently, the billion-dollar marijuana industry is not allowed to advertise on any traditional platform such as Google Adwords, Facebook, Taboola, Outbrain etc. because of the potential impact it could have on their current partnerships and user base. As a result, the industry is left with basically one option and that is to go through a marketing agency who manages the campaign for them. 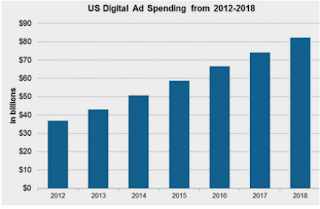 The problem is that these traffic packages are expensive and filled with low-quality inventory simply because it provides more revenue for the middleman and the publisher. here to solve that problem and provide a self-serve platform that allows the user to track their conversions and statistics in real-time which will allow them to quickly optimize their campaigns for maximum profit. will be aggressively marketing our new platform to the world’s largest marijuana-related websites and apps. will be working to onboard as many publishers as possible and to provide them with better pricing than the competition. sales team will also be onboarding advertisers with coupons that will allow them to try the platform for free. 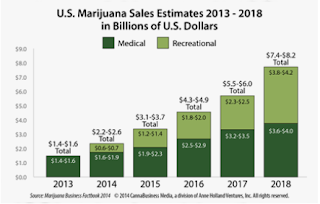 objective is to provide the billion-dollar marijuana industry with the best available solution to advertise products and services. easy to use platform will allow website owners with a quick and easy solution to sell their traffic to product owners and service providers directly connected to their industry. 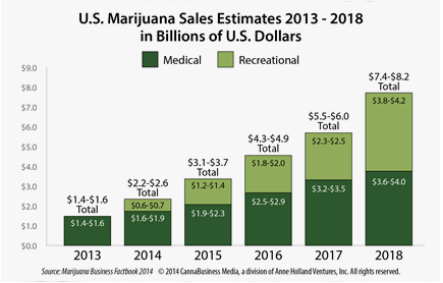 The marijuana industry is growing rapidly and has millions of dollars reserved for marketing purposes that they are not able to easily spend. vision is to provide them with a solution to this problem and to provide this growing industry with the technology they need to easily grow their businesses. prototype is already built! Additional features and UI redesign are next. Expect the beta version to launch in Q1 of 2018. The Smoke Exchange token (SMX) is used to buy advertising credit on the platform and is the only form of currency used internally by the software. For example, if you wanted to buy $100 worth of advertising credit you would have 2 options. 1. You can transfer $100 dollars worth of SMX tokens to your advertising account. 2. You can purchase tokens on the Smoke Exchange using BTC, ETH or DOPE which will automatically convert and be available for use. Publishers who are selling advertising space will have the option of being paid in BTC, ETH, DOPE or SMX. The presale will offer a 50% Bonus and will have a hard cap of 10000 Ethereum. Investors who contribute 1000+ Ethereum will receive a 65% Bonus.